‘Before making any decision, however, he consulted the Privy Council. The spring of 1806 stood at the centre of a great crisis in the history of Europe. Less than six months before the little will was written, Britain’s hero, Admiral Lord Nelson, had died saving his nation from invasion at the battle of Trafalgar. The French army that had been waiting to be carried across the Channel had turned east. Just over a month later the armies of Britain’s allies Austria and Russia had been shattered at Austerlitz. Napoleon was the master of most Europe. At his instigation, King George’s Electorate of Hanover had been given to the Prussians. 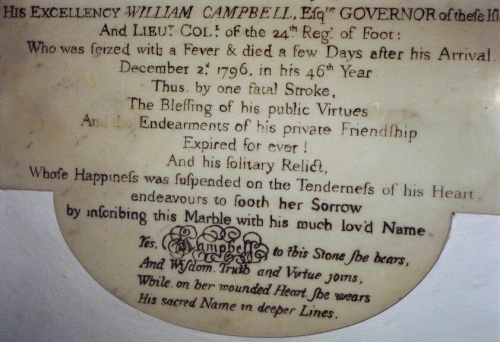 And on top of all that, Britain’s brilliant Prime Minister, William Pitt, had died heartbroken and exhausted. The coalition that replaced him, known optimistically as ‘the ministry of all the talents’, was negotiating for peace with Napoleon. Yet at that most desperate moment, some of the men who had been entrusted with the safety of the nation were asked to devote time to discussing the implications of a will written on impulse by a lonely ten – year – old child. To anyone who knew the truth, their judgement cannot have been encouraging. They agreed that Mrs Campbell was responsible. ‘Mrs. Udney, on the other hand, was good – looking, ill – tempered and fickle. She was so fond of drink that even Charlotte noticed, and she adored gossip. According to Lord Glenbervie, who heard it from Mrs (by then Lady) Harcourt, she took one of Charlotte’s tutors as a lover. Sadly, however, he was unable to name him. 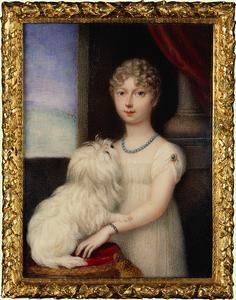 In a letter to his wife, who was one of Lady Jersey’s successors as lady – in – waiting to Charlotte’s mother, he wrote, “She says Mrs Udney had an intrigue with one of the Princess Charlotte’s music or drawing masters – that they used to be lock up together in Mrs Udney’s room, which opened into the Princess’s, and that when any friend or intimate came there, and was going to open the door of communication, the Princess would say: <<You must not to try to go there. Mrs Udney and —— are there, and they always lock themselves in.>>”Although Mrs Udney tried to worm her way into Charlotte’s affection by indulging her, she was never successful. The Princess, who referred to her behind her back as “Mrs Nibs”, was unimpressed by her fondness for drink and her depravity, and she may have had other unrecorded reasons for disliking her as well. But to Lady de Clifford and Dr. Nott, Mrs Udney’s most serious weakness was her fondness for gossip. The drawing rooms of London were buzzing with scandalous stories about Charlotte’s parents, particularly her mother, and there was a real danger that sooner or later Mrs Udney might pass some of them on to her. '[an extract from ‘Charlotte&Leopold’ by James Chambers]’Mrs. Udney was the second sub – governess, and according to that arch – gossip, Lord Glanbervie, she had an intrigue with one of Charlotte’s masters, and they used to lock themselves into Mrs. Udney’s room, which opened out of the Princess’s. Charlotte was well aware of what was going on and would warn people not to interrupt them. 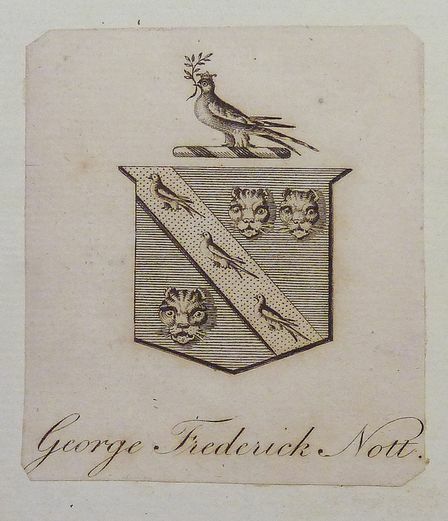 ‘Apart from Dr Nott, there were two other sub – preceptors, who came in as he did to teach English literature, French, German and modern history; and there were masters for music, dancing, drawing and writing. 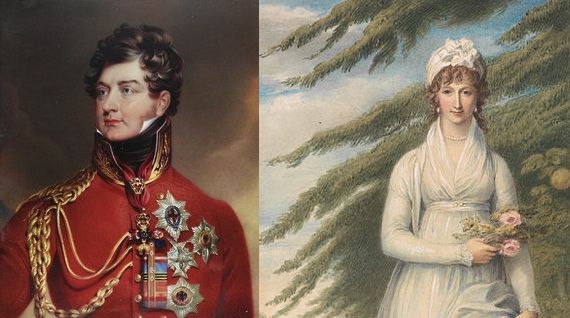 The only resident members of Charlotte’s tutorial staff were two widows who acted as sub – governesses, Mrs Campbell, whose husband had been a Governor of Bermuda, and Mrs Udney, whose husband, according to the Prince of Wales, had been the ugliest man he ever saw. Mrs Campbell was small, angular and argumentative. Unknown to the Prince of Wales, who affected support for the Whig opposition, she was also, like Dr Fisher, a high Tory. But she was intelligent and strong – willed. As a governess she was strict but fair, and Charlotte respected her for that. Before long the Princess was announcing poignantly that Mrs Campbell and Dr Nott were her adopted parents. Dr. Nott always answered her notes most helpfully and kindly. He also tried to teach her English, Latin, and “Ancient” History for an hour and a half each day. It must have been uphill work. 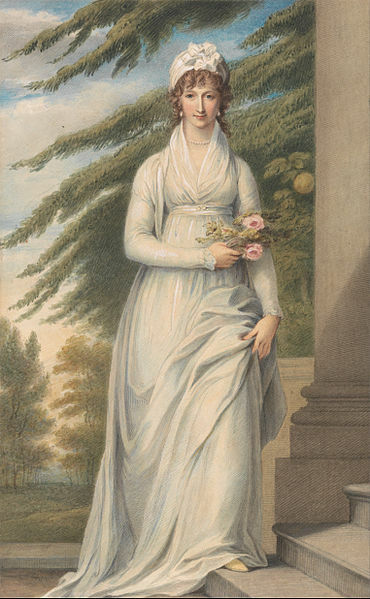 Charlotte was woefully ignorant: her education under Lady Elgin had been sketchy. Scholarly Dr. Nott was grieved by her handwriting and appalled by her spelling: she made mistakes, he said, “which a common servant would have blushed to have committed”. He upbraided her for her laziness and lack of interest: “When are we to have the satisfaction of seeing your mind animated with a becoming pride and a generous resolution to improve?” he wrote after three months of unrewarding labour. He also tried to curb her violent bursts of rage, but without success. Although truly penitent and anxious to please him, Charlotte went on scamping her homework, refusing to learn, and making scenes. In the end Dr. Nott broke down: the strain was too great. Charlotte, now ten years old, was stricken with remorse: his illness was her fault. He might die, and she would be to blame. She prayed fervently, for forgiveness – God’s and Dr Nott’s – and for his recovery.